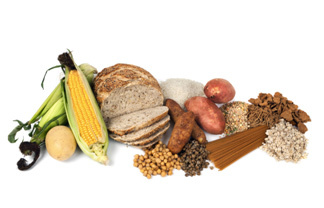 What are complex carbohydrates? What are simple carbs? Understanding the difference between the two is important for your current and future health. Let’s start with the basics. A carbohydrate is a source of energy for all living things on earth including plants, animals and humans. In its most basic form, it is the first link in the food chain. This energy source is found in the human diet in three main forms: sugars, starch and fiber. This is going to be pretty technical but hang with me. Sugar may be a monosaccharide or a disaccharide. A monosaccharide is a single sugar molecule, not bound to anything else. Glucose is an example of a monosaccharide. Glucose is important to the human body because our cells can use it for energy. The other monosaccharides are fructose and galactose. Disaccharides consist of two sugar molecules bound together. Sucrose, the main component of table sugar, is an example of a disaccharide. The other disaccharides are lactose and maltose. The monosaccharides and disaccharides are the simple carbs. 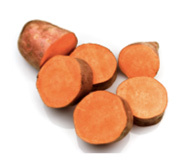 Starch and fiber are polysaccharides. They consist of long chains of glucose connected by bonds. Starch and fiber are classified as complex carbs. Starch is found in a variety of plant foods that are not always sweet in taste. Fiber may be soluble or insoluble. The bonds holding soluble fibers together can be broken by digestive enzymes and the glucose molecules can be used for energy. The bonds holding insoluble fibers together are different and cannot be broken by digestive enzymes. So, the glucose cannot be used for energy but insoluble fibers are important in the diet for other reasons. So really…what are complex carbohydrates? Some natural plant foods contain a combination of simple sugars and complex carbs. For example, an apple contains fructose, but also contains some starch and fiber. It is through cooking or processing that we end up consuming foods or beverages that are primarily monosaccharides or disaccharides. Apple juice, for example, is mainly fructose, a simple sugar. And why is this important in knowing what are complex carbohydrates? Because with the starch and/or fiber removed, little digestive effort is needed for processing. The glucose ends up in the bloodstream very quickly causing spikes in blood sugar levels that increase a person’s risk of disease and age the cells of the body. If the glucose is not needed by the cells for energy, it is converted to glycogen for storage. The body’s glycogen storage capacity is limited however. the glucose to fat, which can be stored in nearly limitless amounts, as some of us know, on the body. According to the complex carbohydrates information provided by nutritionists and scientists, the health benefits of whole, natural plant foods that contain a combination of fiber, starch and simple sugars are numerous. These whole foods take a good bit of effort to digest.Rather than spiking blood sugar levels, they help keep blood sugar levels stable. When it comes to fiber, the health benefits may include a reduced risk of heart disease and certain kinds of cancer. One of the benefits of insoluble fiber is to carry cholesterol out of the digestive system and away from the bloodstream where it causes health problems. The food sources of complex carbohydrates are numerous. The easiest way to tell the complex from the simple is to look at the amount of processing. The closer the food is to its natural form, the more complex it will be.